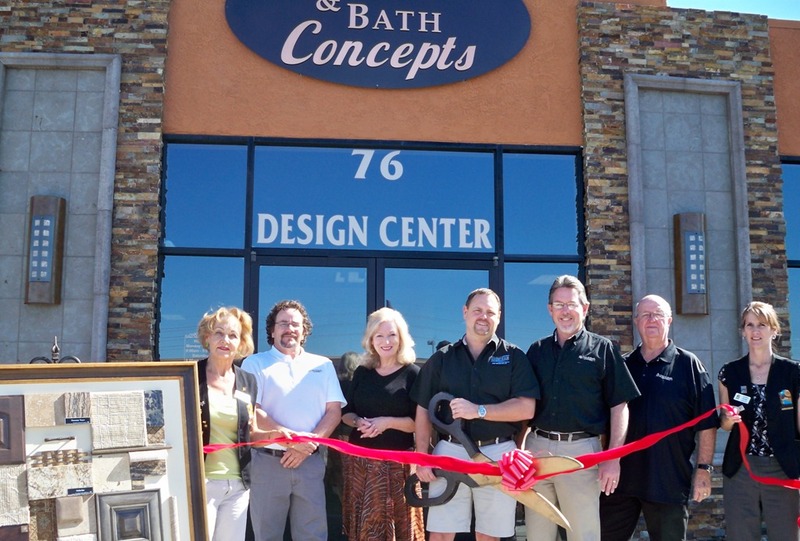 The Lake Havasu Area Chamber Ambassadors held a ribbon cutting ceremony for Kitchen & Bath Concepts celebrating its grand opening and new Chamber membership. Attending the ribbon cutting were Pam Swanson, Mark Platt, Laura Westmiller, Keith Williams, Homer Haas, Rex White, and Laura Prahl. Local owner, Keith Williams, proudly adds Kitchen & Bath Concepts as a compliment to his Oasis Floors and River Stone Works. Kitchen & Bath Concepts, along with its entire staff, strives to provide the experience, integrity, and quality performance so important in today’s market. Please visit their website www.kitchenandbathconceptslakehavasu.com or stop by and see them anytime Monday-Friday 9-5 or Saturdays 9-4.